<> at Jack Studios on November 11, 2009 in New York City. 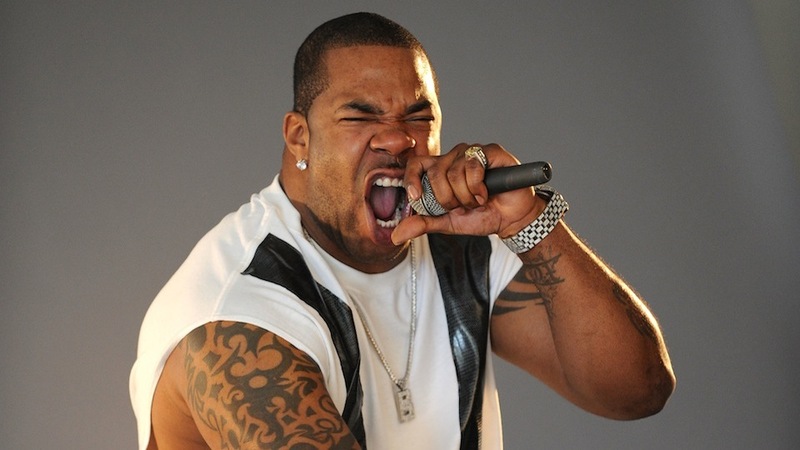 Busta Rhymes was recently arrested in New York, after getting into a kerfuffle at the gym. Busta allegedly threw a bottle of Protein Shake at a fellow gym goer, and was arrested for second degree assault. Now there are more reports about Busta Rhymes’ temper, apparently cause for criminal investigation. TMZ reports that the rapper is under investigation following alleged threats he made at the BET Awards this past June. The victim, Kim Simpson, says that her and her friend were dancing when they accidentally bumped into Bussa Bus. He allegedly took it badly, warning Simpson that he’d bite her if it were to occur again: “I’ll bite you and not that kinda bite,” he allegedly said. The confrontation escalated later when the two girls were taking photos with reality star Deelishis, and Busta was caught in the middle. He allegedly told the two, “Don’t make me slap you,” and charged at them but security got in the way and prevented anything from happening. Kim Simpson filed a police report, and thus the cops are looking into it. Busta Rhymes’ lawyer hasn’t spoken up yet, although he denied the claims of the more recent arrest.